Remember when you started your membership site because you wanted freedom and passive income? It wasn’t long before you discovered that running a successful membership site is anything but passive and it sure doesn’t feel like freedom most of the time. Why is creating an incredible, immersive community experience so difficult? It’s hard enough getting people to join in the first place, but now your existing people are leaving faster than new people are joining! You don’t want churn. You want your churn rate to be as low as possible. But why shoot for just low? What if you could eliminate churn entirely? What if you created a community experience so incredible and so tuned to the needs of your members that no one ever wanted to leave? What if that experience was so great that people would stay for years and years—and you didn’t have to keep cranking out new content? What if you didn’t have to build that system yourself because someone else who has been building a community for years already built it and made it available to you? What would it be worth to never lose another member again? No more Facebook groups and no more forums. It is real life. We would know—we built the best community messaging system in the world and we’ve been hoarding it for ourselves for several years. Tune in to live-streamed shows. Receive notifications on subscribed topics. Access all of this from any device. It didn’t exist. So we built it. 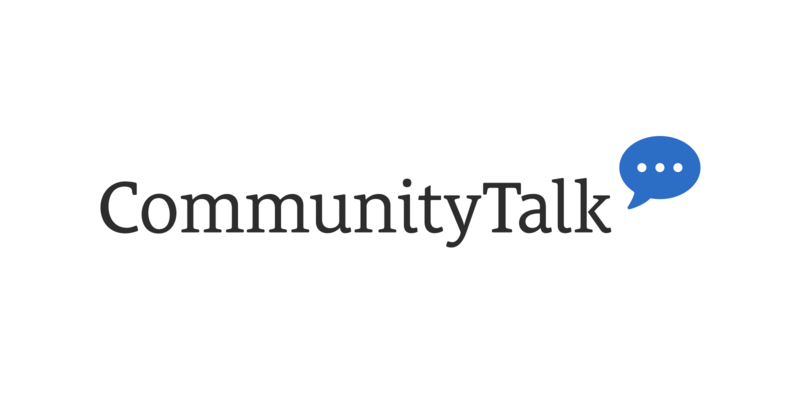 CommunityTalk is by community organizers, for community organizers. We know communities. We’ve managed one ourselves for many years, and we built a system that is custom-tailored to the unique needs of a living, breathing community. We intimately understand the unique pain points of community members—why they stay and what makes them leave—and we’ve created a solution that accommodates their needs in the best way possible and makes you look like a hero. Let us help make you the hero and restore the passion you once had for your community by taking away all of the headaches that come with being a community organizer. You should be focused on doing what you do best: serving your community. CommunityTalk takes care of retention and the experience so you can focus on delivering value. We've built the best community messaging system in the world and after using it ourselves internally for several years, we're excited to finally make it available to you as well. If you'd like to hear when we launch CommunityTalk (and who knows, since you're early, you just might get into the beta!) just enter your email below and I'll keep you posted.